Stoke City came agonisingly close to securing a memorable win at Old Trafford last weekend, but eventually fell to a 3-2 defeat at the hands of Manchester United. The Potters will be looking to break down the toughest defence in the league with the welcome of Southampton, but will be without the services of Robert Huth who is struggling with an ankle problem. 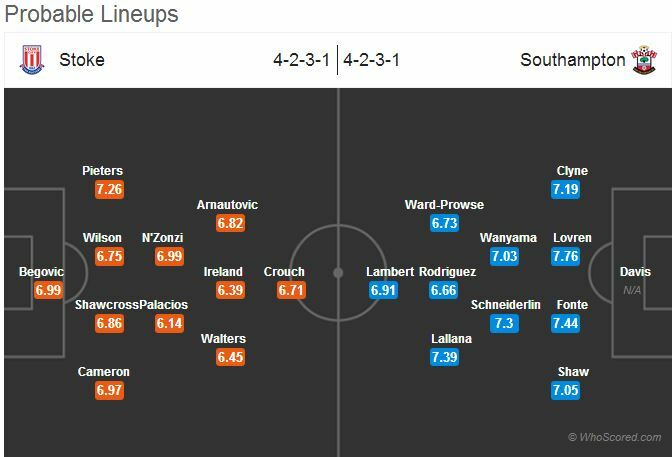 Marc Wilson is expected to replace the German in the centre of defence, while Wilson Palacios may start alongside Steven N’Zonzi once again in midfield. Southampton head coach Mauricio Pochettino is will be hoping his side can continue their impressive start to the season with the trip to Stoke City. 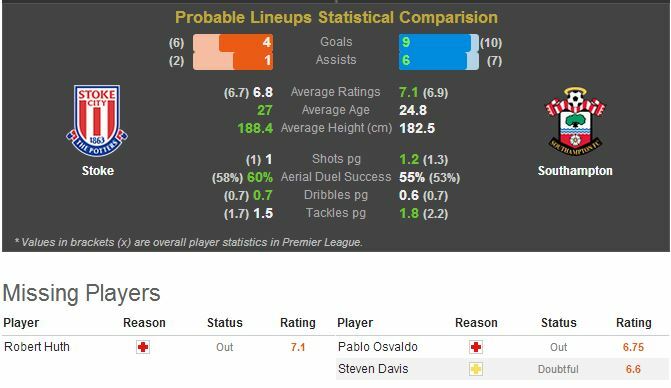 The south coast side have kept 5 clean sheets in their last 6 games, but are likely to be without the services of summer arrival Pablo Osvaldo, while Steven Davis is a doubt. Following the 2-0 win over Fulham, Saints are expected to remain unchanged for the game against Stoke. Stoke City have succumbed to defeat just the once at home this season and have conceded only 2 goals in 4 league games at the Britannia Stadium. Mark Hughes will want to continue that run of form at home as he aims to overcome this season’s surprise package. Southampton boast the best defensive record in England having conceded just the 3 league goals this season. Head coach Mauricio Pochettino will be confident of continuing that record against a Stoke side that has scored just twice at home all campaign and have failed to net in their last 298 minutes of Premier League football. 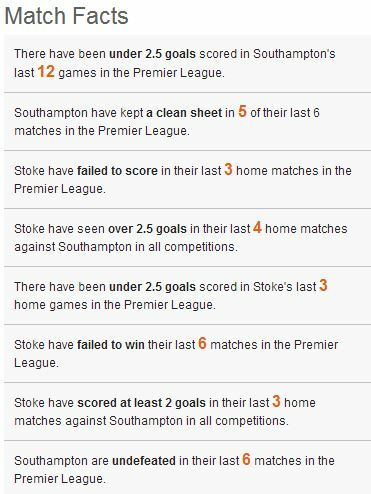 While Saints may not be scoring with ease at present, especially away from home, the quality in their attack and defence means they’re tipped to come away from Stoke with a narrow win.